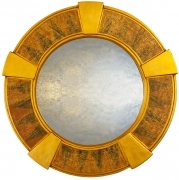 Decorative Round Mirrors. 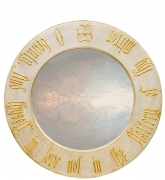 If you're looking for a beautiful decorative round mirrors that is a bit different but has all the style and quality expected of a handmade decorative wall mirror then I might have the mirror for you. 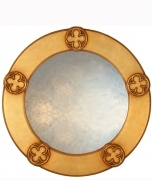 As hand crafted artefacts these round mirrors can be made to measure or their gilt finishes customised to suit your tastes. 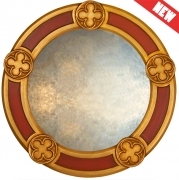 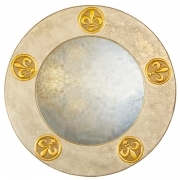 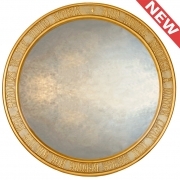 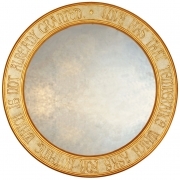 Click on any of the round decorative mirrors below for further detailed information and images. 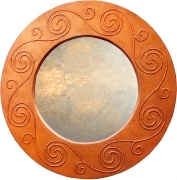 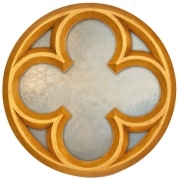 Styles are limited to Celtic and Gothic at the moment so if you like the overall design and quality of my finishes but are looking for another style then get in touch and let me know what your after as I might be able to make the mirror you require and add the design to my collection.... just click on the contact link opposite and get in touch.